For the entire month of August get a FREE large photobook through Picaboo. Use code FREEBK at checkout. 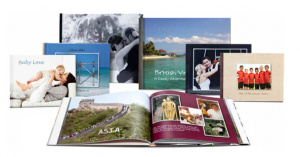 Get a 20 page Large Classic, Classic Leather, or Classic Custom photo book valued up to $39.99! You will only owe shipping of $8.99.